The Coda Records label was a subsidiary of the successful English independent record label Beggars Banquet from 1983 to 1992. Nick Austin (3), one of the company's directors until 1992, suggested the idea after returning from America and being excited by an emerging new music genre called "New Age". 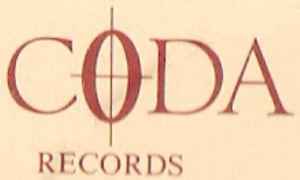 Coda served as an early UK outlet for the New Age genre. Artists on the label included Claire Hamill, Rick Wakeman, Eddie Hardin, and others. Many of the releases on the label were under the Landscape Series, signifying their musically sedate contents, but the Frugivores were part of the New Lyricist Series.